The best musicians I’ve encountered recently all have one thing in common; they come from the sweetly-accented land of North Carolina. Vetiver front-man, Andy Cabric, is no exception to this strange new rule. 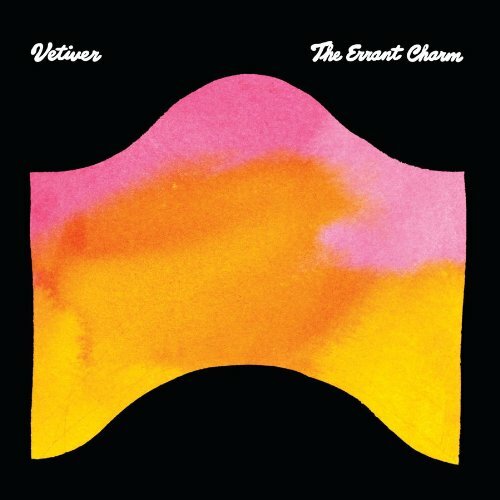 So, I wasn’t surprised when Vetiver’s new album The Errant Charm showcased the kind of flexibility, complexity, and unique, spell-binding appeal that are the hallmarks of other great, iconic American bands like Wilco or Radiohead. Vetiver’s first, self-titled album, was filled with melancholy sweetness and strumming that was perfect to fall asleep to, but it wasn’t until their fourth album, Tight Knit (2009), that Vetiver came into their own, holistically reconciling the lively bluegrass jams of their third album, Thing of the Past (2008), with a natural inclination toward the melancholy mellow of their earlier recordings. The Errant Charm is Vetiver at the next level; full musical maturity. The album opens with It’s Beyond Me, a song of such subtle beauty that actually possesses the enigmatic, and seemingly intrinsic quality that Radiohead has long used to captivate listeners and entices them to listen through a track they weren’t certain they wanted to hear. Its slow pace and soft harmonies break-open just as your finger hovers over the button to forward the track, and you stick it through because you’re mesmerized by the need to hear it swell and crash into resolution. Palate cleansing tracks like Wonder Why start off on high notes and dive into up-beat jams with ear-catching lyrics like, “When is this old world gonna treat me kind,” proving that Vetiver has finally mastered the irresistible art of the solemn song performed with a light touch. Worse For Wear, a song about love dying, ends by repeating the phrase, “All happiness is sad,” which perfectly summarizes the mood, not only of the song, but of the entire album. There’s almost no point resisting any track on The Errant Charm, and ultimately, what makes the album so successful is the way the songs progress, shifting through a variety atmospheres so complimentary and balanced that each new song enhances the experience of listening to the rest.